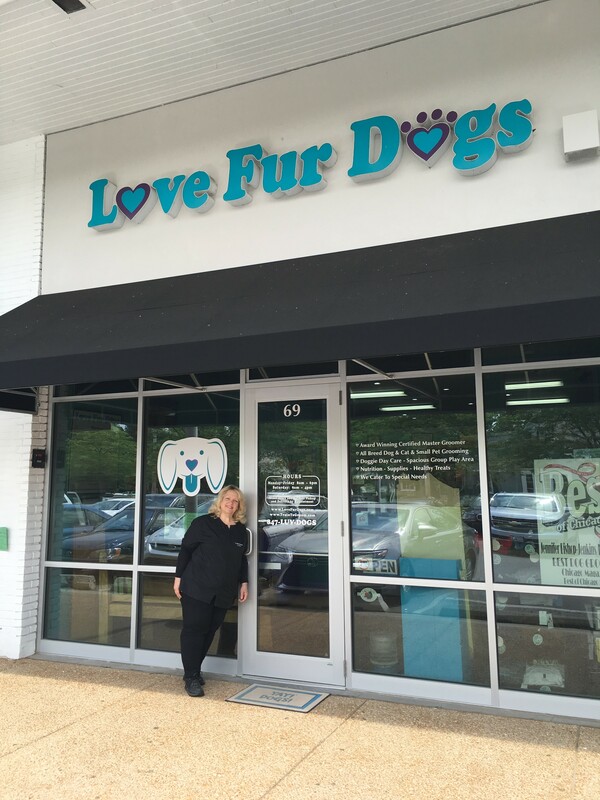 Love Fur Dogs opened in May 2014 and rapidly became the North Shore’s premiere full service pet grooming boutique. Selected after just one year in business in BEST OF CHICAGO, Jennifer Bishop-Jenkins was lauded by Chicago Magazine and the Tribune Publishing company to be the Best Dog Groomer in Chicagoland! Chicago Magazine said about Jennifer and Love Fur Dogs: “Owner Jennifer Bishop-Jenkins—one of the first Certified Master Groomers in the nation—combines nearly four decades of experience and a gentle touch to treat your pup to what’s likely to be the best do of his life. A favorite of pet parents and vets on the North Shore and beyond, Bishop-Jenkins knows her way around all kinds of coats, and she adjusts her cuts based on each dog’s needs.” (Reprinted with permission) Years later we still hold the title. In 2017 NextDoor Winnetka overwhelmingly voted us the Best Dog Groomer, and Expertise.com objectively rated almost 700 pet groomers in the Chicagoland area and selected us in their co-equal top 20 – Love Fur Dogs still the best! And in 2018 Jennifer was featured on national Hulu network’s television show Small Business Revolution as a grooming expert to help a small town struggling grooming shop. See a promo here. See the episode here. We are 100% committed to the safety, health, well-being and comfort of your pet. 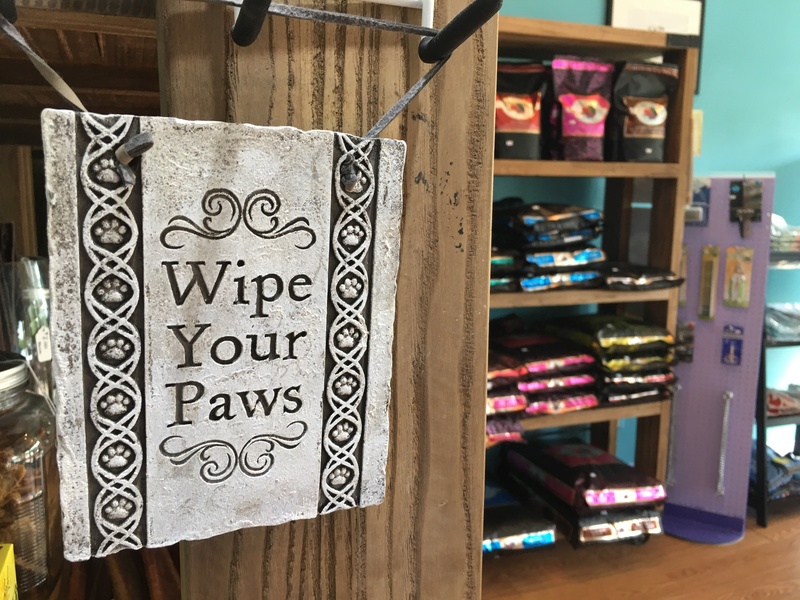 We constantly strive to maintain our zen-like loving, calm environment, and the best in pet grooming and haircuts anywhere! We have an outstanding staff of hard-working, animal-loving, dedicated grooming, daycare, and reception staff. At each step of the grooming process our caring staff is watchful regarding your pet’s health and safety. We monitor six points of well-being – skin and coat, teeth and gums, ears, feet and nails, parasites, and the rear end – and report anything out of the ordinary that you should discuss with your veterinarian. We have already had several owners report to us that we caught things during the groom that they never would have known about, and when alerting their veterinarians about what we pointed out, were able to perform in a few cases, life-saving medical care. We pride ourselves on being a great assist to you in your care of your beloved dog or cat. Our prices are very competitive. We feature extremely low cost weekly maintenance programs to keep your home free of hair, and your pet free of mats and tangles. We believe that these low-cost services pay off for us all in the long run when you have a happier pet who stays in better condition between grooms. We also strive to keep our Pet Taxi pick up and delivery costs very low as part of our commitment to accommodate special needs for any of our customers. We do cater to special needs – for both our four-legged and two-legged customers! We can even pick up and deliver your furry friend in our comfy Pet Taxi. We offer the absolute BEST in spa services, including amazing new cutting edge technology Thera-Clean Microbubble Hydrobaths. Our spa product line and skin and coat treatments are especially beneficial to geriatric dogs or those struggling with skin or coat issues. The skin is the largest organ in the body, and taking good care of it for a dog makes all the difference in their quality of life. We are gentle on puppies, as with all our beloved clients, and we carefully TRAIN all dogs to trust the grooming process. We offer a state of the art, data-driven VIP puppy grooming/training package – four visits for only $50. We begin at 8-10 week of age, with increasing length of visits every two weeks, focusing on training and socializing the pup slowly and gently to the grooming experience – something they will have to do for the rest of their lives. Lots of love and treats – nothing forced. Just learning the sights, sounds, smells of the grooming process. This is SO important – that a puppy be brought in early and regularly to a groomer so that their first visit isn’t months later when they are a matted mess, forcing their first groom to be a traumatic experience that taints their ability to be comfortably groomed for the rest of their lives. Our early puppy VIP grooms have paid off in many pups growing up into happy, healthy dogs that are confident and relaxed during grooming. We urge all new puppy buyers to take advantage of this great service. Our front lobby features great products and the best quality, healthiest pet foods and extraordinary treats for your beloved family member. You will see a real difference in your pet with the good food we carry – Fromm dry, Wild Calling canned, and Primal Freeze-dried. This huge difference will pay off in lower vet bills, a longer, healthier life, and in what you have to clean up in your yard. Almost all of our dog products and treats are locally or regionally sourced, grain-free, and superior in both taste and health. Our rawhide bones, for example, don’t come from Asia, filled with formaldehyde, as is the case in the bigger stores. We buy from Calais Farms in Lake Delavan, Wisconsin, a family owned operation that is so small they don’t even have a website. They do, however, soak their bones in human-quality soup. Dogs LOVE them! And we feature other locally sourced, high quality treats such as a line home-made in Wilmette. We also feature very healthy chews such as bully canes made of beef tendon among our very highly digestible treats. We carry chicken jerky and turkey burgers made in the USA that we sell at very low prices so that every pet can get a very special treat when they come for grooming. And dogs love the taste of Yak-milk hard cheese in the line of Himalayan dog chews and treats – so tasty, they were featured on Shark Tank. Our Name Is Our Mission – We opened Love Fur Dogs to share our family’s love of and expertise with dogs and grooming. We really mean it about the love. It is our raison d’etre. The love we feel for these animals is central to everything we do. We treat your pets like they were our own children. 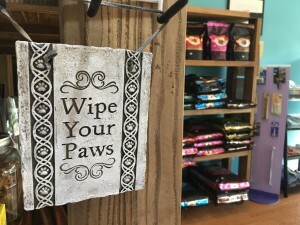 Love Fur Dogs combines grooming expertise with natural products, individual attention and excellent service in a nurturing home-away-from-home. Your beloved family member is not just our client – they are like extended family to us, as well. Your pet will receive healthy care, be gently and beautifully groomed, and carefully returned to you.Thank you for visiting our web site and we hope to meet you and your beloved pet soon in our new salon. Call 847-LUV-DOGS (847-588-3647) today to make your appointment! New to Love Fur Dogs? Click here to download our new client contract!